James Gladstone and Christy Lundy, ill.
“WOW, IS THAT PRETTY!” seems like an underwhelming way to sum up one of history’s most iconic and mind-expanding moments. 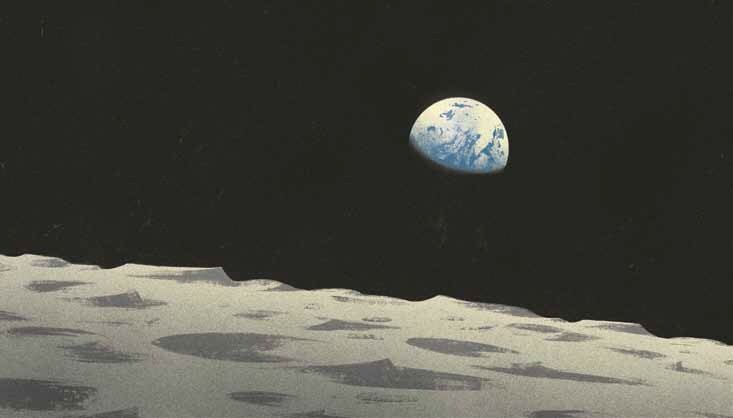 But that’s exactly how NASA astronaut Bill Anders characterized the view as planet Earth filled the windows of the Apollo 8 spacecraft a half-century ago. Anders grabbed a camera to capture what he was seeing, and the results were more than pretty: his haunting images of a luminescent Earth emerging from the darkness of space permanently changed how humans see their home.